Flows through Western Slovenia and North-Eastern Italy. An Alpine river in character, its source lies in the Trenta valley in the Julian Alps of Slovenia. The headwaters of Soca river are found near Mount Triglav, meaning “Three Heads,” this mountain range is a Slovenian symbol and tallest peak in the country. Cutting through the town of Bovec, the area is known as the whitewater hub in Slovenia and for the best whitewater around. 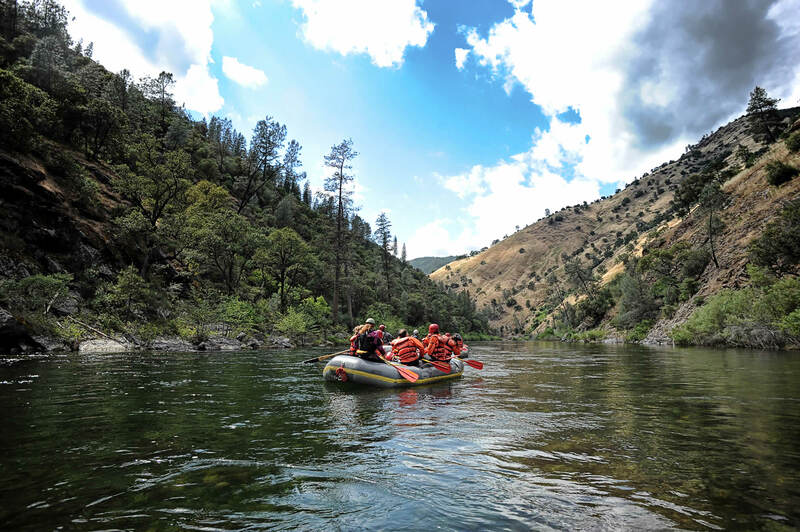 Rising waves and fun rapids create ample opportunities for enthralling whitewater rafting. The torrents of water and the proximity of the waves are great for both beginners and experienced rafters while the calm water in many bends allow time to take in the breathtaking scenery. Defined as “One of the most exciting valleys on Earth” the Soca river is known for its large population of endangered marble trout. Cradled by steep gorges, villages usually with a traditional Baroque Steeple in its center dot the riverside. Winding high into vivid green Alpine pastures, the mighty Julian Alps create a magnificent backdrop against the pastoral river valley. The bold aquamarine waters flow swiftly through canyons, green meadows and villages that have withstood the test of time. A distinctly warm Mediterranean climate creates a unique atmosphere for this European riverside. The most unusual creature to inhabit caves in the area is the olm, or proteus, a blind amphibian unique to the subterranean waters of the Soca river basin. The best time to go rafting on the Soca River is during the spring and summer.